There’s a new Super Nintendo on the market, and it may be the best one yet. The 16-bit aesthetic is the new vinyl. It taps into a growing vein of '90s nostalgia, and it also reflects a longing for a tactile past world that just predates full-scale digitization. Fat, colorful sprites represent an era when technology was still analog and full of exciting possibilities. The Super Nintendo is as much an emblem of this retro near-futurism as it is a game machine. But boy, is it also a great game machine. Hence, nostalgia for the Super Nintendo is currently at its absolute peak. There are half a dozen or so clone consoles on the market and advanced emulators such as Higan that run with near-cycle perfection on high-end PCs. Then there's Nintendo's own incredibly popular SNES Mini. In short, there is no shortage of ways to play these classic games right now. All options have their strengths and drawbacks, but Analogue's new Super NT retro console easily blows them all out of the water, delivering sprites with pixel-perfect accuracy, zero lag and considerable polish. The Super NT is a retro console that doesn't get lost in nostalgia. It's a sleekly designed box that offers near-perfect emulation while supporting HDMI output and wireless controllers. Nintendo's own Classic Mini SNES may be cheaper, but it doesn't come close to matching the quality of Analogue's effort. If you want a deep dive into the Super Nintendo's excellent library, you can't do better than this. Be the first to review the Super Nt? 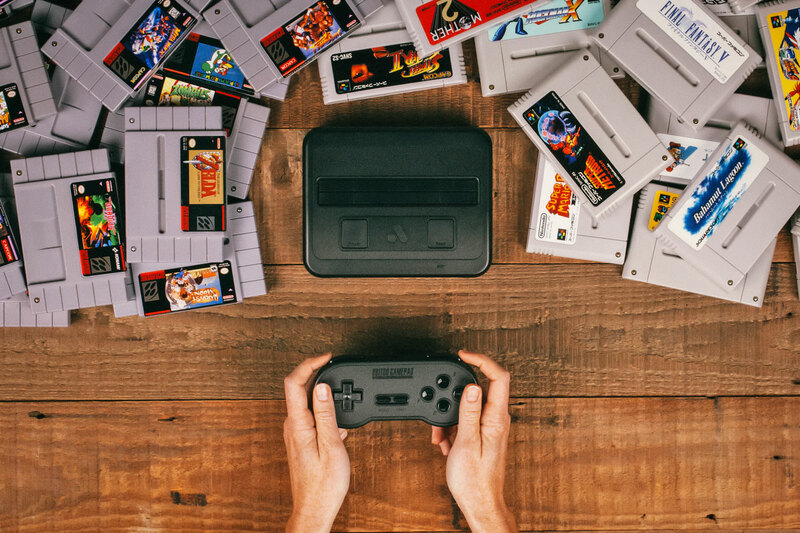 For years, Analogue has been delivering high-end retro consoles that run original carts and deliver pixel perfection seamlessly to modern televisions. The Super NT is the culmination of these efforts: a 99-percent-accurate recreation of the Super Nintendo in a consumer-friendly package. Analogue achieves this magic via field-programmable gate array (FPGA). Nearly all purpose-built consoles, including Nintendo's own SNES Mini, run retro games through software emulation, which means they're using a program to simulate the original Super Nintendo. But FPGA is an integrated circuit that is coded to recreate the architecture of the original Super Nintendo hardware itself. To look at it another way, software emulation is like streaming a recording of a classic song while FPGA is playing the original vinyl on a modern turntable with digital outputs. For most consumers looking for a quick hit of nostalgia, software emulation is just fine. Many emulators deliver a mostly accurate and quality experience. But for enthusiasts seeking purity, software emulators just can't compare to what the Super NT's FPGA chip delivers. To be clear, the Super NT is not the "perfect" SNES experience for purists. The absolute gold standard is to locate an original Super Nintendo 1CHIP console (a rarer revision of the hardware that outputs video over RGB) and either wire it into a high-end CRT monitor or run it through an expensive Framemeister or Open Source Scan Converter in order to hook it up to a modern TV. It's a deeply nerdy experience that is time-consuming and space prohibitive, and it requires a strong knowledge of how old consoles work. But the Super NT is about as close to this gold standard as you could possibly get -- plus, it is a pretty piece of hardware, and it plugs in with only an HDMI cable. For anyone who has spent weeks tracking down a good CRT or tweaking the settings on a Framemeister, the act of plugging the Super NT into a 4K TV and receiving pixel perfection with the click of a button is a magical experience. 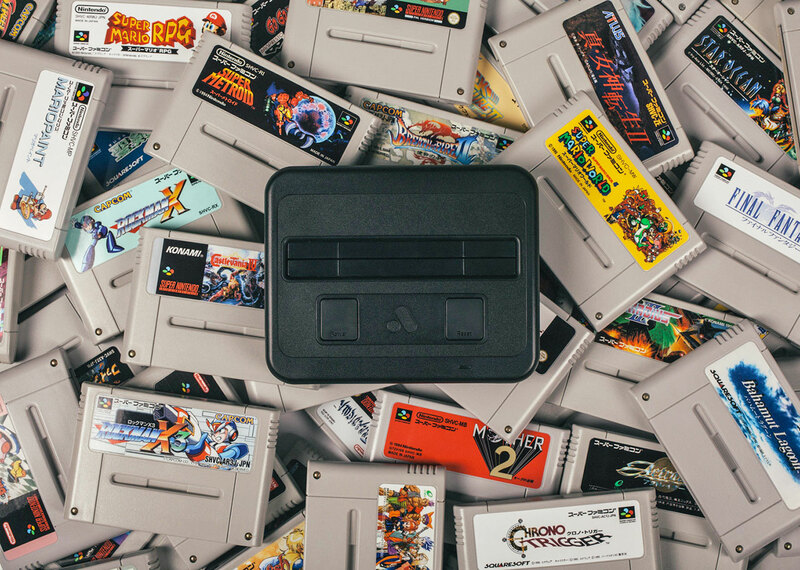 As simple as it is to get started, the Super NT has a deep well of options that you can modify on the fly through a menu that has been cleverly programmed to run on the Super Nintendo CPU. You can adjust the resolution, the refresh rate and the aspect ratio. In my experience, 1080p output delivers the sharpest pixel-perfect image, and 720p is better suited for turning on scan lines (there are several options to customize your scan line thickness and improve brightness, which dulls when using scan line effects). Buffer-mode adjustments are available. Normally, the Super Nintendo runs at 60.09Hz, but with the zero-delay buffer option, you can adjust this to 60Hz, which removes any latency in the gaming experience (or there are options that more closely replicate the original experience). Other adjustments available to tinkerers include interlacing options; pseudo high-res blending, which simulates certain techniques that made use of CRT monitors to create special "high-res" effects; and 64-sprite mode, which enables more sprites on-screen and fixes flicker in certain classically problematic games. These modes will give hobbyists plenty to play with, though they only really apply to select games. In my experience, 64-sprite mode eliminated a lot of the notorious flicker from R-Type III. I suspect that in time, retroheads will discover all kinds of new applications of these features, and recommended-settings regimens for each game will begin circulating. It also works with all Super Nintendo peripherals (except light guns, which will require a CRT), such as Super Game Boy. And you can toggle regions and frequency to play PAL carts (though I didn't have any on hand to verify this). In short, as Analogue founder and CEO Christopher Taber told me, the Super NT was "literally designed to be the end all, be all." The range of visual options are stunning (and a tad overwhelming), but for me the real "wow" moment came from the sound. Strictly in auditory terms, switching between the SNES Mini and the Super NT is night and day. SNES audio has always been notoriously difficult to emulate on the software level, but the FPGA chip's hardware mimicry achieves the best achievable sound quality from games. It hits the difficult notes in Yoshi's Island or Final Fantasy III perfectly. The Super NT is suffused with other quality touches. The interface's font and colors are customizable, and even the dang LED power light is adjustable (rainbow throb is my jam)! In terms of product design, the console is wonderfully tactile. Made with a compact plastic shell a tad thicker than an original Super Nintendo and with a weighted base and rubber mat on the bottom, the console has heft and presence. I tested the black model, which felt perfectly at home with all the other sleek black boxes that live under a modern TV. The console feels good to touch, and touch it you will: Swapping carts is a tactile pleasure in its own right. This fact belies the hidden costs of the console, one of its bigger drawbacks. You will likely need to buy not only carts but also a controller. You can plug in an original pad, but Analogue recommends the 8Bitdo SN30 wireless Bluetooth controller ($25) and Retro Receiver ($20), which are available in matching colors. The 8Bitdo feels very much like the original SNES controller and can be synced with other devices, such as PCs, Macs and even the Nintendo Switch -- it's a good standalone product in its own right but works extremely well with the Super NT. These hidden costs add up. The console itself is $190, but add on one or two 8Bitdo pads and shipping fees and you're looking at around $250 to $300. If you also need to build a library of carts, your total expenditure can swiftly hit $500. Stack this up against the SNES Mini, which delivers 21 top-shelf games and two controllers for $79, and it's clearly the premium option. But if you want to track down a SNES 1CHIP, that'll run you about $175 on eBay, and if you're going that far, you'll want to get a high-end CRT monitor. A 20-inch Sony PVM will set you back around $200. Considering this, the Super NT is the more affordable option. There's one other glaring drawback: The console currently only supports HDMI, so there is no way to output to a CRT monitor. Analogue says it will release an adapter that converts the digital signal out to RGB, component, S-Video and all those geeky options "in a month or two." For a device that is built on retro fidelity, the lack of analog outputs out of the gate is disappointing. So who is this console for? If you're still here and you're still interested, then chances are it's for you. It's for the hipster geek who loves retro games but not quite enough to track down a Sony PVM and a bunch of cables and rig up a 1CHIP SNES. Surprisingly, this is a bigger market than one would think. Demand has already far outstripped Analogue's expectations: Pre-orders sold out before release, and the next run of pre-orders may follow suit, so keep a close eye on the stock if you're on the fence. Personally, the Super NT has focused my attention on Super Nintendo games in a way that the SNES Mini simply couldn't. The play experience is far more accurate, but more importantly, the possibilities are far greater. Though I only tested the Super NT with about a dozen SNES games, Analogue says that it's tested it with practically all 2,200 SNES and Super Famicom games ever made. The SNES library is deep and contains some of the best games of all time. That library is well represented on the SNES Mini, but what grabs my interest are the games that for whatever reason didn't make Nintendo's cut. Chrono Trigger, Demon's Crest, Blackthorne, R-Type, even Uniracers -- a game that literally haunted my childhood with fever-dream nightmares of disembodied unicycles -- are all on the menu. For me, the Super NT represents the possibilities of a deep dive into the richest and most varied video gaming catalog in existence. The Super NT is a retro machine that somehow does not wallow in nostalgia -- it looks and feels like it belongs under a flat panel in 2018. The design is thoughtful, tasteful and unobtrusive. Analogue has miraculously achieved a rare alchemy: 99-percent-perfect Super Nintendo accuracy, with zero hassle. The nerdy stuff about cabling and Framemeisters is gone, and the distracting intangible factors that come along with nostalgic consoles have been nullified too. Who touched these controllers before, and why are they so gummy now? Did this yellowing console come from a smoke-filled home, and what was that like? Why is life so much more complicated now anyway? With the Super NT, these questions are moot, leaving the games to speak for themselves.